A "sold" sign outside a home under construction in Peoria, Ill., in October. Home prices were up 4.3 percent in October from the same month a year before in the 20 major U.S. cities where the data are tracked, according to the latest S&P/Case-Shiller Home Price Indices report. 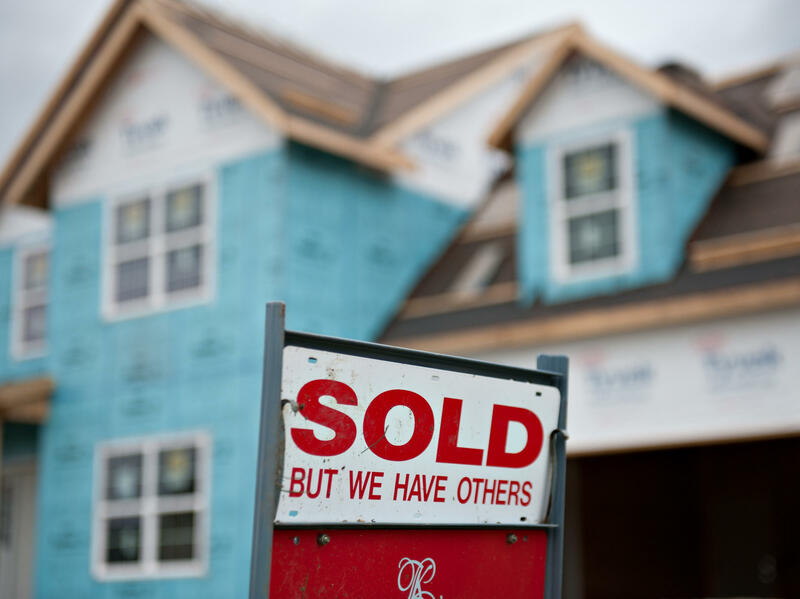 "Looking over this report, and considering other data on housing starts and sales, it is clear that the housing recovery is gathering strength," economist David Blitzer, , chairman of the Index Committee at S&P Dow Jones Indices, says in the report. "Higher year-over-year price gains plus strong performances in the southwest and California, regions that suffered during the housing bust, confirm that housing is now contributing to the economy."